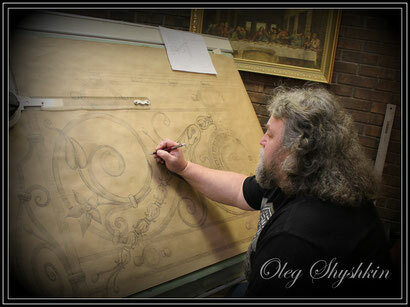 About an Artist Oleg Shyshkin. 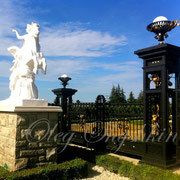 Oleg Shyshkin is the owner of “Wrought Iron Art Ltd.”, Canada. This year the company celebrates its 20th Anniversary in North America. 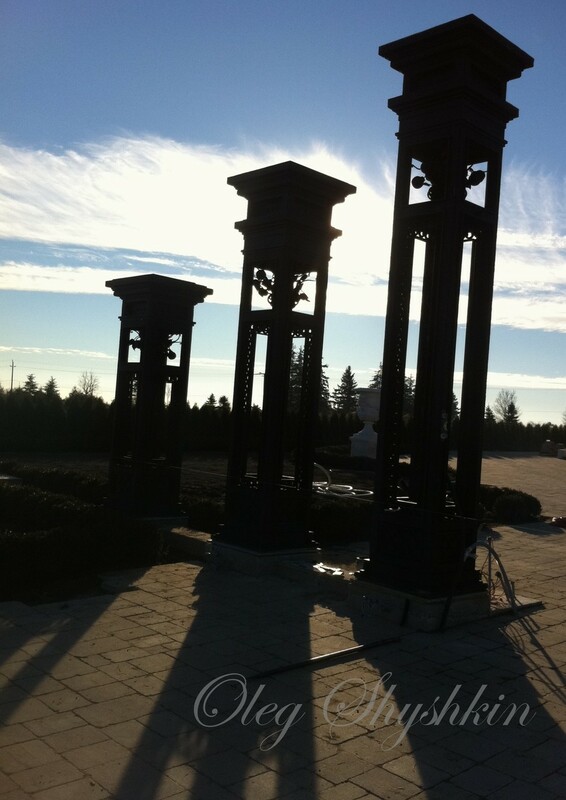 In August of 1996, Oleg Shyshkin, an architect by profession, opened a creative studio in Toronto, Canada, for the design and artistic forging of wrought iron. In short order, it became one of the most renowned and sought-after in North America. Shyshkin had extensive experience as an architect, interior designer and artist in his homeland, Ukraine, in Russia and Moldova, where he had supervised and participated in many prestigious projects. Early in his career, Shyshkin had been fascinated by artistic blacksmithing, which he considered an intensely graphic form of art. He believed no other technique could transform lines into art as well as wrought iron. 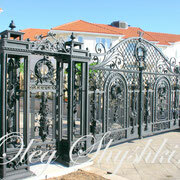 Shyshkin imported old European traditions of artistic forging to North America. Blending his love of French Art-Nouveau and Art-Deco, he created a personal style that is unmistakably his own. His originality has intrigued clients, who rush to place new orders. 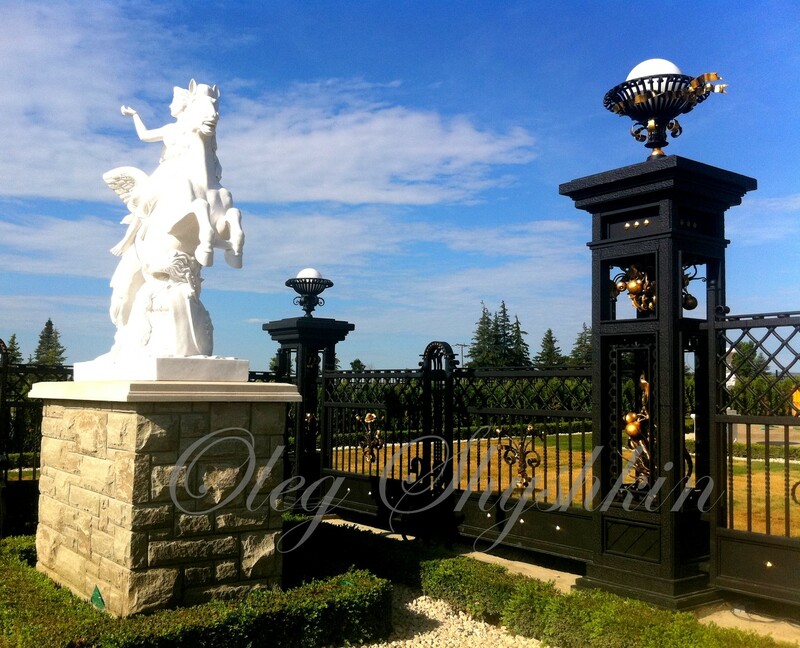 Shyshkin has been commissioned to create pure art; sculptures and decorative pieces; as well as architectural elements, including gates, fences, façade parts and railings for both interior and exterior use. 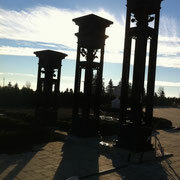 He has also been asked to make functional objects, such as lanterns, chandeliers, fireplace accessories and furniture. He creates the designs himself; from preliminary sketches to architectural working drawings; and does most of the fabrication as well. Every work is one-of- a-kind, confirming Shyshkin’s originality. 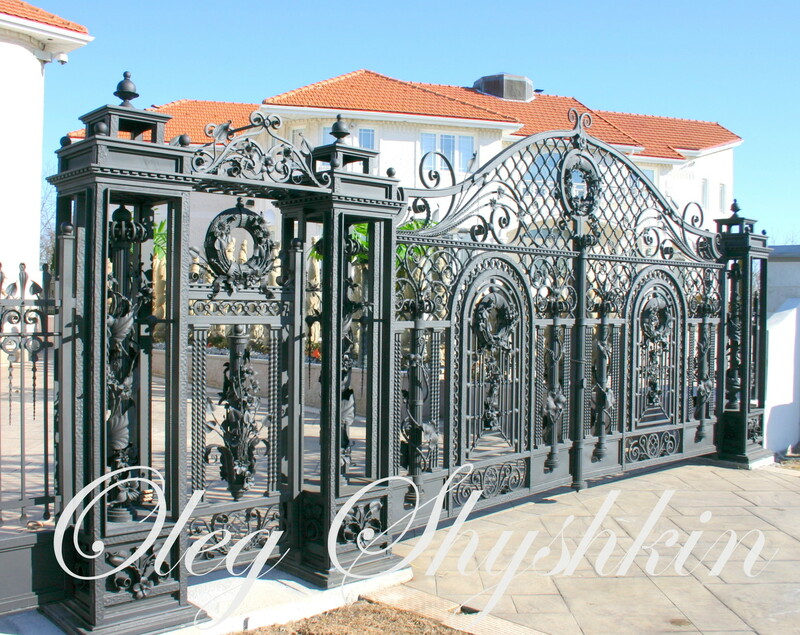 From 1996 to present “Wrought Iron Art Ltd.”, directed by Oleg Shyshkin, created many unique and finest projects in the United States and Canada. 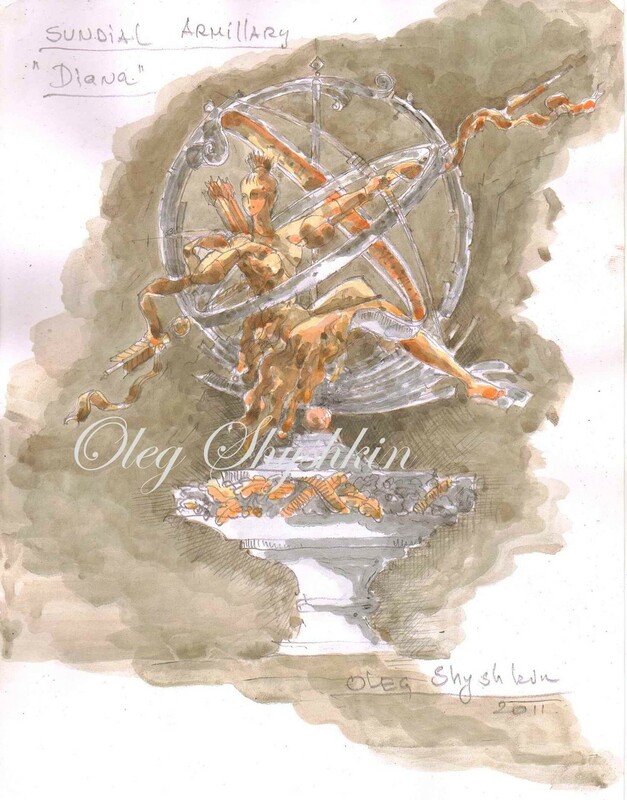 Shyshkin is a member of many artistic associations, including AIA (American Institute of Architects), BABA (British Artist Blacksmith Association), ABANA (Artist Blacksmith Association of North America), NOMMA (National Ornamental and Miscellanies Metals Association), Institute of Classical Architecture & Art. Although his business now has its headquarters in Oakville, Ontario, Shyshkin is receiving more and more orders from the United States. He has completed projects in California, New York, Connecticut, New Jersey and Illinois as well as throughout Ontario. 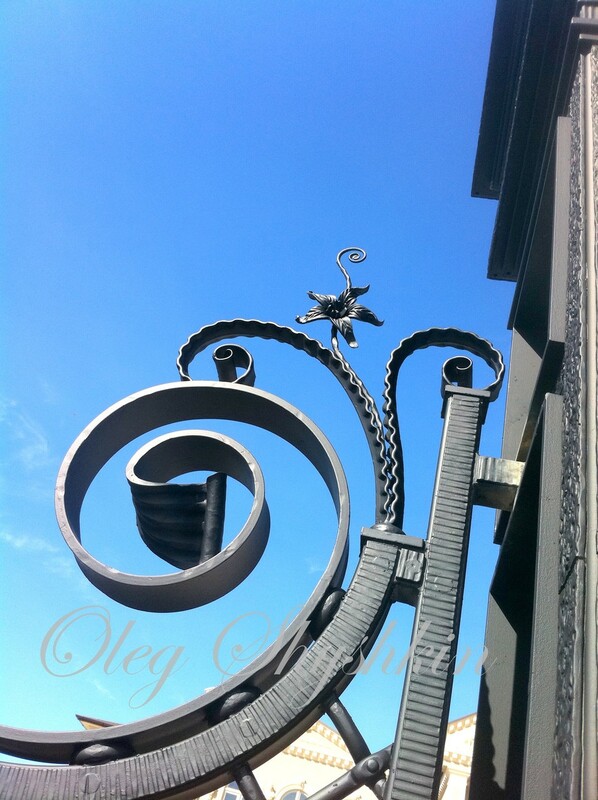 Photographs of Shyshkin’s work and the articles about Oleg Shyshkin, his company and wrought iron works were published in many Professional Magazines, books and newspapers in the United States, Europe, and Canada. “Художественная ковка. Дизайн”. Издательство: Арт-Родник. 2010. 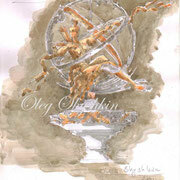 As a sculptor and architect, Shyshkin has produced art works that highlight artistic individualism. 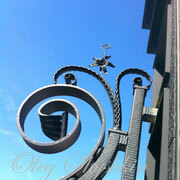 His rare combination of architectural and artistic blacksmithing skills creates unusual results. Today the reputation of this studio is widely recognized. 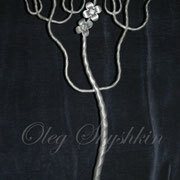 Masters such as Oleg Shyshkin bring prestige to the profession of artist-blacksmith. 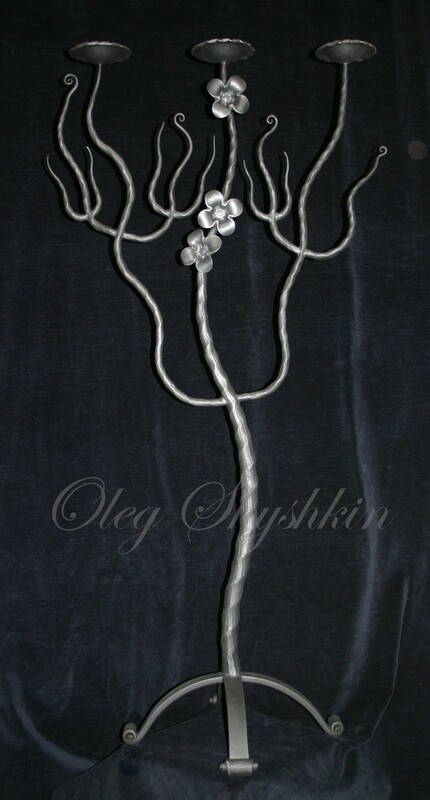 Once people have seen Oleg Shyshkin’s work, they look at metal in a new way.